The city of Naperville brought these two together. Kate was working in public relations for the city. Her work assignments kept bringing her and Carl, a film guy from Naperville Community Television, together. Kate was sending signals to Carl …. that it wasn’t just a conquincidence that they kept running into together. But Carl was not picking up on these signals. Kate finally just told Carl they should go on a date. And that is when it all began. Back in 2008. Four years later, I met these two at the Naperville Riverwalk. One of their favorite places and an area of downtown Naperville that they spent a lot of time. 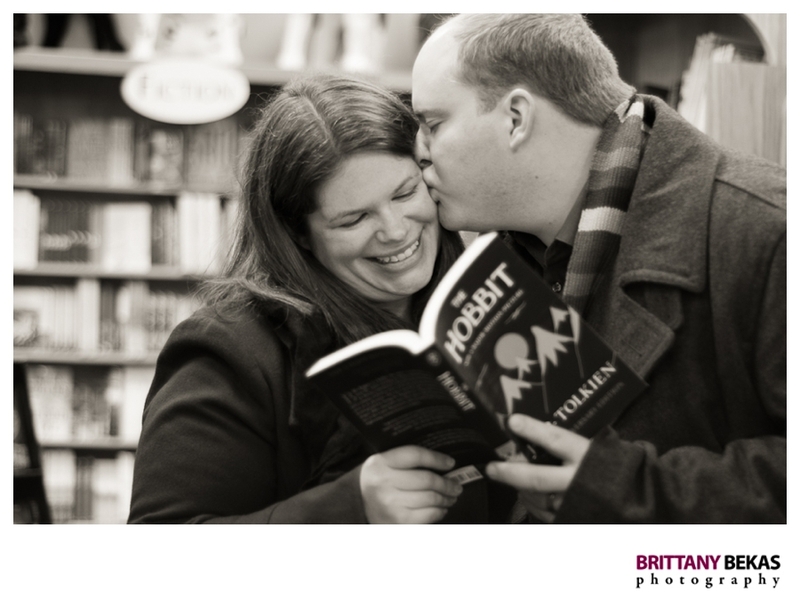 Not only do they both live and work in Naperville, but they love to walk around, dine at the local restaurants and get lost in books at Anderson’s Bookshop. Kate and Carl just radiate with love. I have never seen two people look at each other with such adoring eyes. Kate and Carl LOVE to read. 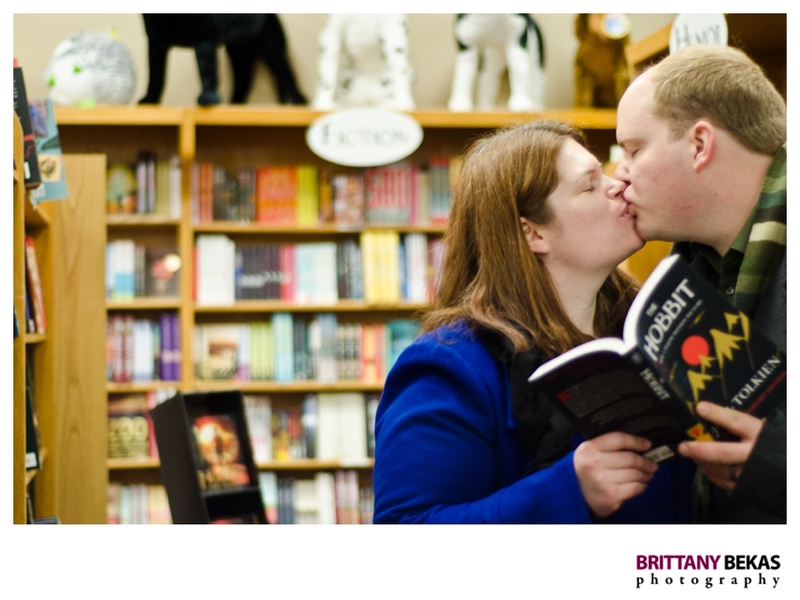 So when we walked past their favorite bookstore, I knew we had to sneak in for some photos of them. 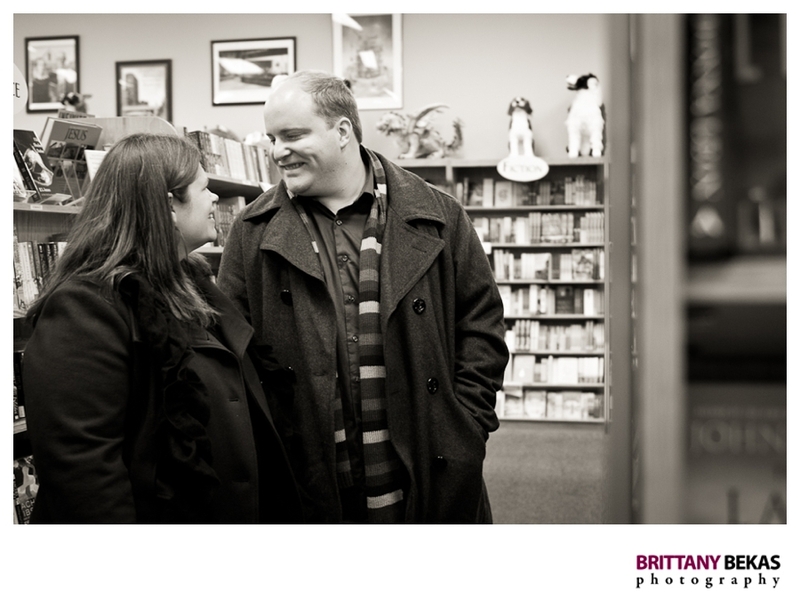 They headed right to the humor section and were laughing the whole time they looked at books. 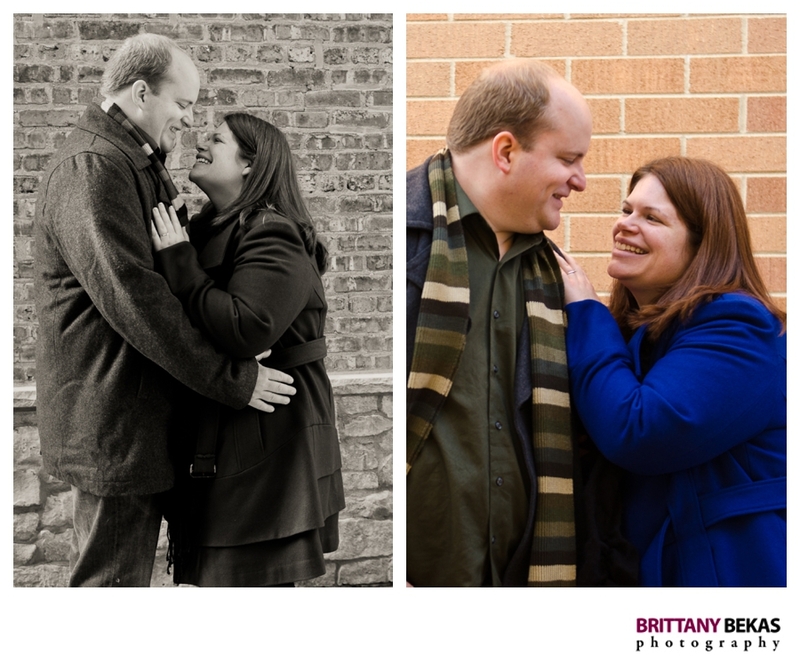 I cannot wait to photograph their wedding next September at the Naper Settlement. I know their day will be filled with lots of love and laughter. 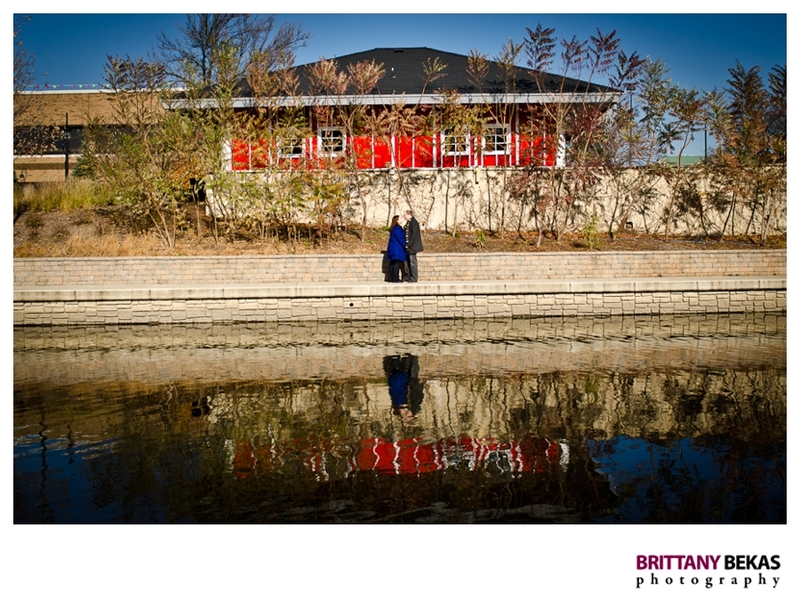 To see more from Kate + Carl’s Naperville engagement session, view their slideshow below.